Barefoot Angie Bee: November Yoga a Day Challenge! November Yoga a Day Challenge! In October I participated in the Yoga A Day challenge hosted by Grow Soul Beautiful. Daily inspiration from community to get more out of my practice is such a great tool. I found motivation to improve and most importantly to have humility to accept that I am what and where I am in my practice and that is beautiful too even if I feel super tight and inflexible some days. The humility works on my mind and hearts flexibility! 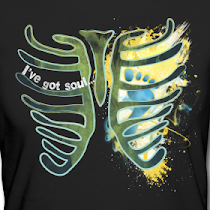 Grow Soul Beautiful is hosting a November Challenge! Check the calendar and snap a pic of you doing the pose for the day. 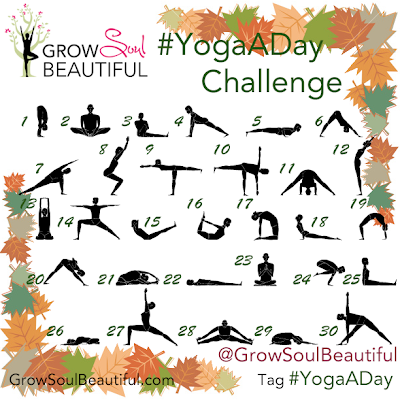 Add the hashtag #yogaaday and tag @GrowSoulBeautiful to your picture. You can search the #yogaaday hashtag and see all the others participating. I just can't get over how cool it is to have met and made friends with so many lovely bendy people! Its a flexible challenge in that if you miss a day or two, post anyways to catch up if you like. 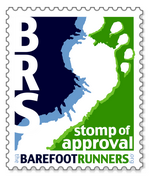 Its interesting to see so many barefoot people and to recognize the natural progression and companionship of barefoot running and walking as a lifestyle and how yoga is just an intuitive extension of my barefootery. I am going to post my daily photos to the Barefoot Angie Bee facebook page if you want to follow along. Also you can follow along on my instagram page. Say hello in a comment so I can then check out your pics too. I missed the boat last month and plan on joining in for November. I practice yoga once or twice each week, but love the reminder to fit in a bit everyday! I'm fitknichick_1 on Instagram! Let's follow each other! Tamara, I couldn't find you on there! I even tried a couple of times to type the name in thinking I was typing wrong. This man is the real deal and anybody who has played with http://bookmarks.7elmk.com/story.php?title=2012-new-beats-by-dre-headphones-outlet%7C-beats-by-dr-dre-shop-on-sale-5 him, against him, or has seen him play http://www.coatasite.com/story.php?title=2012-new-beats-by-dre-headphones-outlet%7C-beats-by-dr-dre-shop-on-sale will say he was one of the best players to ever step foot on a football field. This mans name is LaDainain Tomlinson. He shattered records, he won MVP http://linkingsocial.com/story.php?title=cheap-monster-beats-by-dre-headphones-sale%7Cbeats-by-dre-studio-uk-shop-1 last year, he's a team player, and a great leader.